Tune in to the 10 must-see musical acts of the year. Some of them are new while some have been around for a bit--either way, these up-and-coming music-makers should be on your radar this year. 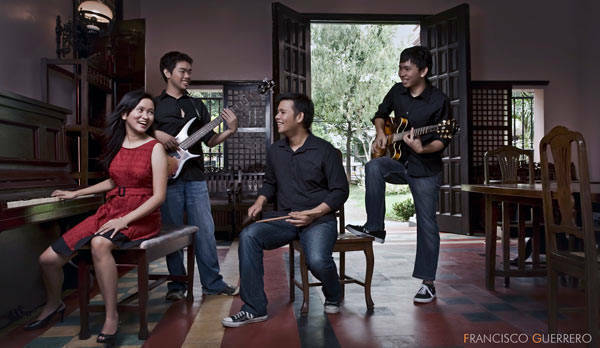 Band background: There was no doubt Franco would become an instant local favorite--the band was formed with talented members that have roots in famous local bands. While the group broke into the local music scene in early 2010, we still can't wait for what they have to offer this year. Playlist: Expect to hear mostly original rock alternative songs, some infused with reggae beats. Reyes' distinct vocals and songwriting prowess make their gigs and album a treat for true fans of rock 'n roll. Claim to fame: The release of their self-titled debut album last year, plus bagging the Artist of the Year, Album of the Year, Song of the Year and Listener's Choice awards at the NU Rock Awards in October 2010 catapulted them into rock god status. Where to catch them: For band schedules, check their Facebook page. Band background: Their band profile states, "Not Another Boy Band is a whimsical musical band and self-proclaimed Top 100 indie band duo in Las Piñas. What they lack in talents; they compensate with extremely good looks, hard work, false hope and delusions. Mostly delusions." From this alone, you can imagine what you'll be in for when watching N.A.B.B. Playlist: Their repertoire includes mostly original ditties with hilarious lyrics accompanied by disco-slash-funk melodies. 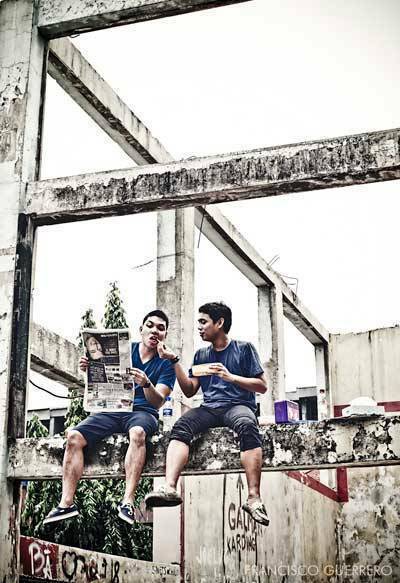 Claim to fame: The duo is slowly becoming a favorite in the local music scene because of the funny lyrics and spiels that often poke fun at themselves or at others. They once dedicated the song Ang Yabang Mo, "para sa mga boss niyo" at a gig. Where to catch them: N.A.B.B. 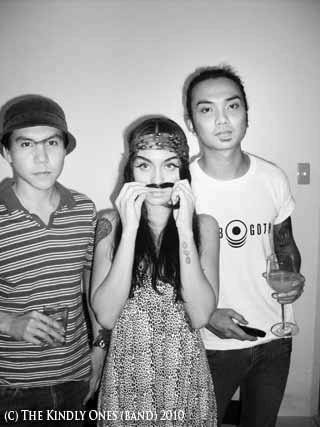 is a Terno Recordings band, they usually perform during Terno nights at Saguijo and Route 196. Check their Facebook page for more information. Band background: The five-man group formerly known as Streamline is an under-the-radar band known to wow the crowd right away. Playlist: One Walks Away is known for playing songs by U2, Pearl Jam, Oasis, Snow Patrol and The Verve Pipe, to name a few. Their genre? Rock music performed with interesting musical additions; a violin and Latin percussions. Claim to fame: The band's popularity increased when they started performing at No. 38, a night haunt along Jupiter street that opened late last year. Little by little, they've started performing in other bars, having people become instant fans who eagerly sing along to the songs they play. Band background: In 2007, during the post dissolution of Twisted Halo and after a brief break from the music scene, songwriter Vin Dancel soon found himself composing a new sound and recruiting an impressive roster of musicians. 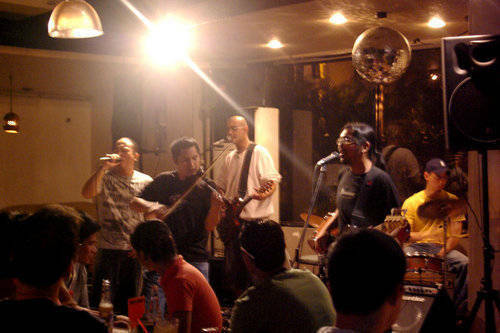 Peryodiko was born and the new group released their self-titled album with 11 all-Filipino tracks. Playlist: Easy and light melodies balanced with moving and sometimes melancholic lyrics. This indie band is influenced and inspired by the likes of George Canseco, the Eraserheads, Apo Hiking Society, The Beatles and Yano. Claim to fame: Credit goes to Agawan Base and Bakasyon, two Peryodiko songs that made radio listeners aware of the talented four-man act and love their music. Where to catch them: Find out where they're playing on their Facebook page. Band background: What started off as an idea in early 2010 was immediately concretized when The Kindly Ones played their first gig in Saguijo last November. 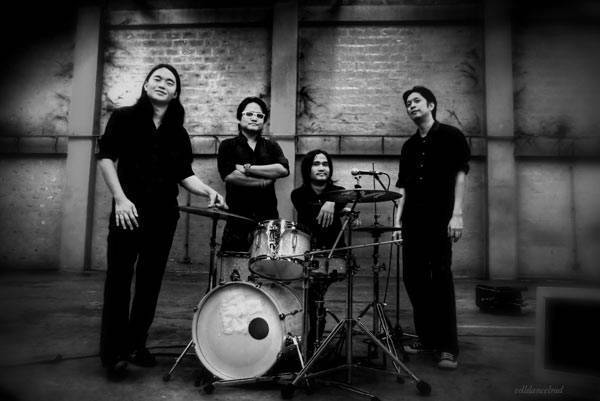 Turbogoth duo Gaugler and Peralta teamed up with friend-slash-drummer Sarabia to form the trio, and has since performed with local music idol, Ely Buendia. How's that for newbies! Playlist: Influenced and inspired by Iggy Pop, Justice, David Bowie, Radiohead, Daft Punk and Air, among others, The Kindly Ones aptly describes their music as electronic rock 'n roll. Claim to fame: The new band's fan base increases with every gig not only because of the fresh tunes they dish out, but also because of the intense performance Peralta is known for. Keep your ears peeled for their album release set to happen this year. Where to catch them: Check their Facebook page for gig schedules. Band background: This Cebu-based group has been in the indie scene for quite a while. Initially, their tunes were rock-alternative inspired but after a couple of member changes and establishing a more solid sound, the band found their forte and is gradually gaining not only a strong following down South, but in Manila too. Playlist: Their music, a mix of disco, rock and alternative, is the type that makes you get up and dance. Duran Duran, The Cure, The Beatles and Michael Jackson, are some of the musical influences that have inspired the band to create new wave-inspired pop tunes. Claim to fame: Their first single, Daydream Dance, was a success when it was released in Cebu. 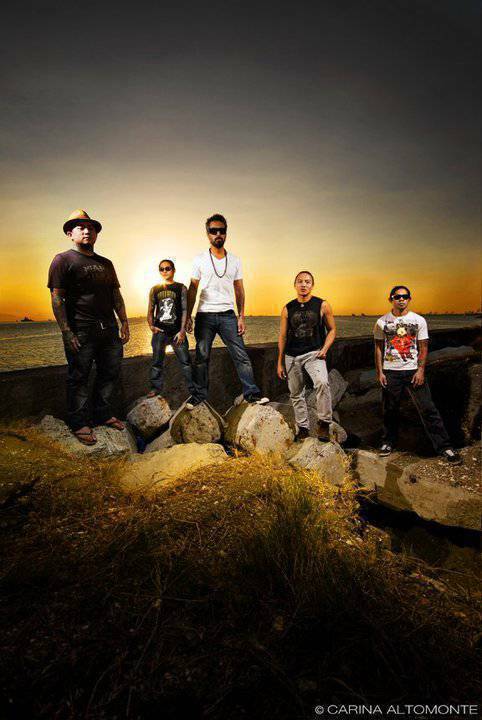 Late last year, their performance in Sonic Boom's Shockwave 2010 captured the Manila music scene. TLD's second studio album is set to be released mid-2011. Where to catch them: The Line Divides is included in the Sonic Boom Philippines band roster alongside local favorites, Urbandub, Faspitch and The Ambassadors-catch them at Sonic Boom gigs in Manila, Cebu and Bohol. In late 2011, they'll be playing around Asia. Band background: What started out as project turned out to be a full blown band for this young group. Originally, the band was heavily influenced by the international act Silverchair but eventually, their music evolved to what it is today. Playlist: Surprisingly, you don't find bands like this these days. Their jazz-pop melodies are reminiscent of classic swing beats now laced with contemporary influences-an interesting mix that makes them unique. 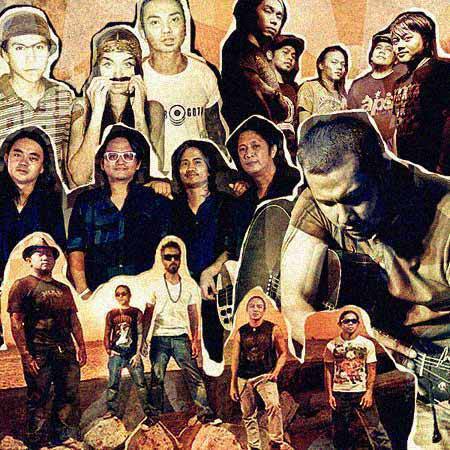 Claim to fame: Songs like Over The Same Side and their version of POT's Panaginip have established the band as a must-watch in the local music scene. The band is currently recording a full length album to be released soon. Where to catch them: Hidden Nikki is a Terno Recordings band, they usually perform during Terno nights at Saguijo and Route 196. For gig schedules, check their Facebook page or www.hiddennikki.com. Band background: Unlike most bands that usually have five to six members, Tanya Markova has eight members--including a backup dancer. Formed in 2006, it was only last year that the band was recognized in the local scene not only for their comical antics (they're faces are painted white during performances), but also for their talent. Philip Alejandro (aka Mowmow) -back-up singer and entertainer. Playlist: The band describes their genre as "shock-pop, happy-goth, dark nursery rhymes." Their songs are a combination of catchy, cheery melodies and amusing lyrics with dark antics-a twisted mix that works. Claim to fame: When Picture Picture hit the airwaves, it immediately garnered a fan base not only among music aficionados and other local bands, but by everyone. Tanya Markova won the NU Rock Awards trophies for Best New Artist, Best Music Video, and Best Live Act, and has made them the band to watch. We can't wait to see what they come up with next. Where to catch them: Check out their Facebook page to find out where they'll be playing. Band background: Okay, so he's not a band, but he's definitely one act to keep an eye on this year. Danao, a former member of Bridge, is slowly building a following--more and more fans are beginning to show up in his gigs around the metro. Those who hear him for the first time are often amazed by his vocals, and fans refer to him as the Dave Mathews or Jack Johnson of the Philippines. Playlist: Expect to hear original compositions and cover tracks by The Beatles, The Police, Jeff Buckley and Coldplay, sung in his signature smooth melodic style. His music is perfect for lazy weekends, long drives, and chill nights. Claim to fame: The talented musician became known for his renditions of Dave Matthews favorites and his steady acoustic sets, perfect for unwinding. Late last year, he released Dapithapon, a 12-track album that showcases his cool voice and songwriting skills. Where to catch him: He performs regularly at 70's bistro, Conspiracy, Route 196 and Cafe Alfonso. Check his gig schedule at www.johnoydanao.com. Band background: Backed-up by a talented team, female-fronted act Toi started off performing blues-inspired acoustic tunes. Now, they've taken it a step further by experimenting with trippy beats resulting in a sound unlike no other in the local music scene. Playlist: Expect to hear mostly original poignant tunes with the occasional cover songs. Claim to fame: Singer Pauline Diaz's effortlessly moving vocals accompanied by veteran musicians on instruments makes quite a remarkable impression. Late last year, Toi presented The Rehearsal, an intimate gig that showcased the band's best-proof that they can easily be the next big thing. Where to catch them: For gig schedules, check their website.